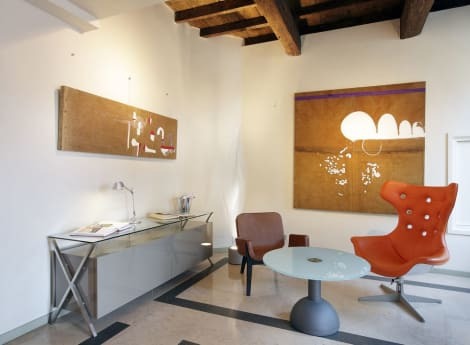 This hotel enjoys a prime setting in the historical centre of Ferrara. The hotel is situated just a short walking distance away from the cathedral. The hotel is situated within easy access of a wealth of attractions in the area. The train station of Ferrara is located just a 15 minutes' walking distance away. Estense Castle is situated just 400 metres from the hotel. This wonderful hotel beautifully showcases the splendour of the city's culture and history. The hotel is decorated with antique furniture and wooden beams. The guest rooms are delightfully furnished, offering comfort and style. Guests will appreciate the many facilities and services that this wonderful hotel has to offer. Quench your thirst with your favorite drink at the bar/lounge. A complimentary hot/cold buffet breakfast is served daily from 7 AM to 10 AM. The central Mercure Ferrara Hotel offers an excellent solution for business or leisure stays, welcoming its guests in charming environments. 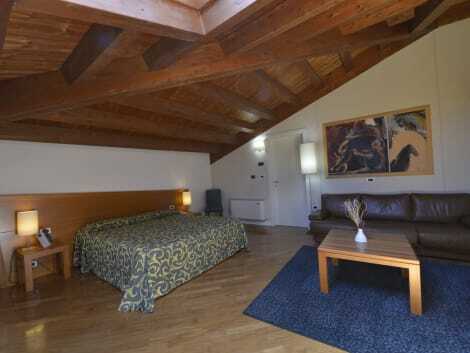 The structure has different types of rooms, all finely furnished and equipped with every comfort, some with a suggestive view of the Castello Estense. The suites offer private wellness facilities with whirlpool or chromotherapy and relaxation area for unique stays. This 4 star hotel is located in the city centre of Ferrara and was established in 1950. It is close to the Castle Estense and the nearest station is Ferrara. The Hotel has a restaurant, a bar and a conference room. All 70 rooms are equipped with minibar. Hotel Il Duca D'este The 4x000D star luxury Hotel Il Duca D'este is situated in Ferrara. Guests can enjoy a meal at the hotel restaurant. Meeting facilities and wifi are available. Room Features Hotel Il Duca D'este. A hairdryer is provided in every room. Rooms have wireless internet access available. All rooms feature a stocked minibar. Leisure Info. Leisure facilities are available at the Hotel Il Duca D'este. Other Info. The hotel offers an airport shuttle service. Pets are most welcome at the hotel. A concierge service is provided for guests.